Investing in the stock market can sometimes seem like a real puzzle, it does not have to be that way. Successful investors make great returns in the market, while amateurs tend to get a little frustrated. OptionsWest would like to help you solve the puzzle and start enjoying the returns that can be achieved when you have learned this craft. OptionsWest offers two investor education approaches to mastering the skills we practice in managing our successful investment accounts. First, we provide “live” on-line webinar style educational courses that teach professional trade-desk skills and second, we provide the OptionsWest Trading Service, with sample trading accounts, email alerts, investment tools, and access to the member’s area of the website. The online courses are invaluable and designed to really establish clients on the path to mastering this discipline. The OptionsWest Trading Service supplies all the tools and information needed to practice and learn our approach. Following along with the Trading Service, its email alerts and active trading accounts, is the perfect view into successful investing. The OptionsWest “live” online webinar classes provide a learning environment that allows for interactive exchanges and individual support in teaching investing skills. Our “live” online Zoom courses cut through the challenges of DVD courses, where the material is basically self-taught. Trying to learn trade-desk skills on your own is not the optimum approach to really learning this skill set and getting a demonstrable investor education. Our classes are a hands-on, real world learning environment with an instructor who has the experience to impart all the nuances of this craft and to answer questions as they arise. The classes allow for personal attention, an invaluable benefit and help in making trading a skill that you own. The OptionsWest Trading Service manages two trading accounts as examples for our clients; the Blue Sky Account and the EquiFund. Each trade and position move in both accounts is shared via timely email alerts, daily email reports, and access to the member’s area of the website. Along with tips from the learning center, all the tools and reports we use to manage our accounts are available to help guide you into the details of the approach we take. The basic version of our Covered Call calculator, with its specific risk level parameters is also included in OptionsWest Trading Service subscription. The trading service is a great way to enhance your investor education. Our introductory class is a 20 minute introduction into learning the skill-set necessary to running a successful stock trading account. OptionsWest has been trading the market for over 30 years and this starter class shares our beginning insights into how we arrived at the strategy and approach that is so successful in achieving consistent returns in the market. The Starter Class in an invaluable introduction to our successful investing approach and is highly recommended for even experienced traders as it lays the groundwork for learning the principles of good equity risk management. 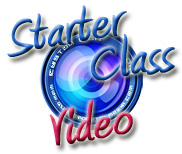 Also available is a free .PDF version of the Starter Class workbook. Simply click on the book graphic above for a link to the .PDF file. The three courses shown below teach three very different trading strategies. The first course is our core trading education and for most investors it is the only course you will need to learn to run a profitable trading account. It focuses on learning to manage a simple stock investing account, like our example BlueSky account. It does not involve any advanced options spread trading strategies. Keeping it simple is many times the best approach. The second course teaches a more advanced trading approach known as “covered calls”. Theses trades are actually a very conservative investment concept that is employed in our EquiFund example trading account. Learning covered calls can be very helpful for the conservative investor. The third course is our advanced options trading program and is for experienced traders only, who want to enhance their investing skill-set. Trading options is a risky endeavor and this course works to mitigate to some degree that risk, as options can also be very lucrative. The Successful Stock Trading course is our flagship curriculum consisting of 8 two hour classes designed to teach the art and basic skill-set of a trade-desk professional. These classes are taught as “live” online webinars. Each class is two hours long and must be taken in order. Clients take the classes typically once a week or every other week, as there is much to practice between classes. Clients will follow along with our example stock trading account known as the BlueSky account. This account has achieved a 46% average annual return since it began in 2012. This stock account practices a very conservative investing approach that works to mitigate risk and protect your profits. The course is actually self-paced, you make take the classes whenever they fit into your schedule. 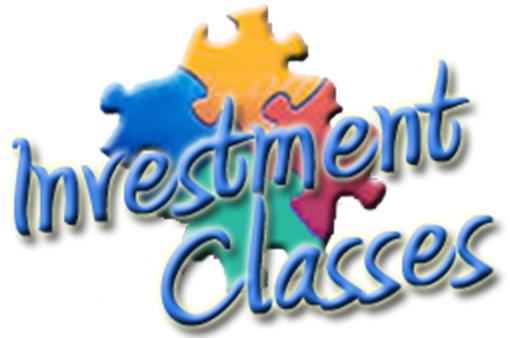 A detailed breakdown of the material covered in the eight classes is presented in the “Successful Investor Course” selection under the Investing Courses pull down menu from the website homepage. 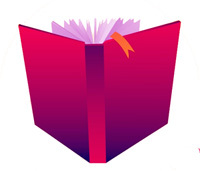 The course includes a full workbook covering every topic we teach. This course is a detailed journey into how to run a successful covered call strategy account. Covered calls are an options trading approach that is actually very conservative and takes a minimal amount of time to manage. A covered call account will take on average only about 5-6 hours per month to run, while a stock investment account takes daily monitoring. Your annual return objective with a covered call account is a 30% -50% annual return. Our Equifund example account trades covered calls exclusively and has averaged a 46% annual return since it began in 2009. The course includes a full workbook covering every topic we teach. For investors who have extensive experience trading stocks and are familiar with options and options spread trades, we offer our Advanced Options Course. Trading options is a very risky business to be sure, but in the right hands it can also be very lucrative. The Advanced Options course is for those individuals who have been trading for years and understand the risks involved. The Advanced Trader course is an advanced course for those wishing to trade full time and learn the specifics of options trading. This Advanced options course is not recommended for less than full time traders and is not required to earn healthy double digit returns. Clients who have taken a trading course are encouraged to email any and all questions about their trading or the course material presented. We will do our best to answer in a timely manner. Clients may also call us with questions, although please do this after trading hours, as we are usually immersed in the market. Membership in the OptionsWest Trading Service allows students to stay fully involved in the BlueSky and EquiFund accounts, through daily email alerts and the Daily Rocket market report. It also allows clients access to the members area of the website with it’s many tools and reports. On-going support also includes phone and email question support and of course the monthly on-line Super Session trader meetings as well..
Once per month, usually the Monday afternoon following Wk3 options expiration Friday, we hold our Super Session on-line meeting. This meeting is about an hour long and is a live webinar covering the previous month’s trades in the Equifund, as well as the new trades for the current month. We walk through the details of each trade, talk about the over market direction and status, discuss stocks that are being traded in our Active Trader Account and Blue Sky account, and answer any and all questions that come up. The meeting is interactive and all participants in the meeting can share comments and ideas. The second key to mastering successful investing skills is found through the OptionsWest Trading Service. This monthly subscription service allows clients to follow along with every trade and management move we make in the EquiFund, the Active Trader Account, and the Blue Sky Account. It also supplies an investor with the same tools we find necessary to successfully trade these accounts. Following along with our email alerts and updates to the member’s area of the website allow clients to learn from example the methods and approach we employ. The basic version of our Covered Call calculator, with its specific risk level parameters is also included in the Trading Service subscription, along with instructions from our Learning Center. We also supply extensive stock research reports that allow investors to get right to trading, saving valuable time and effort in searching for trading opportunities.